rocky's bru: 1MDB jinx for Ismee? Good news awaits Azhar Abdul Hamid, the man who offered to quit over MRT Corp's fatal accident last year. He's slotted to be No 2 at DRB, Syed Mokhtar AlBukhary's massive conglomerate. 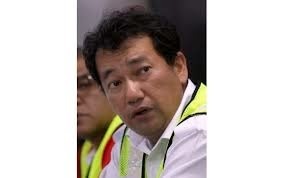 Talk is that he is being groomed to replace Khamil Jamil, the long time right-hand man of the Malay tycoon. If I were Ismee, I will go live in the Caribbean for a year. Go island hopping, make sure very few pwople know where you are when the sh!t from 1MDB hits the fan. Jika Ismee pergi ka Felda Global, silap-silap haribulan harga saham FGV akan menjunum di bawah RM1!!! Alah. Apa susahnya Bro? Dah cukup duit untuk pencen seumur hidup. Duduk di Caribbean, diam-diam. Syurga dunia apa. Tak perlu pening kepala. Forgive me but isn't TS Ismee is in Tabung Haji, not 1MDB? Officially, Ismee's contract is until March 2017. 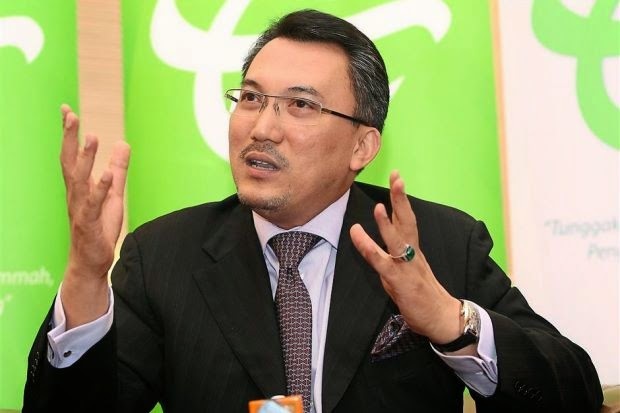 But this big mouth fella has been bragging to the whole world that he will only stay in Tabung Haji until end of March 2015. He is so confident that Najib will place him in PNB or FGV. With only few days left and no official offer from PM office, Ismee is digging his own grave. Heard even the BOD of Tabung Haji and Minister in-charge (Jamil Khir) cannot wait to see him berambus from Tabung Haji for good. Do you have any insider info who is going to lead PNB soon? Follow the 1mdb money to ismee. Another one is first ceo shahrol. From there it leads to jho loh and others. Old man kadir and outsyed mlm jumaat got it wrong. Do they not know that young politucal upstarts like rafizi, tony pua and nurul are attention seekers not much substance in their allegations despite their education? They are no better than mahfuz omar or nasruddin tantawi or bung mokhtar. That is unless they are "investing" in these jokers???? Have one encounter with this ismee guy, lasted for more than an hour. doesn't seem to have much leadership quality. how on earth he could be at the helm of tabung haji.